It’s Friday night after a rough week. I’m exhausted and it’s 10 p.m but somehow I find myself with some friends, music and a cubalibre in my hand. I tell this new acquaintance that I work with the campaign (it’s a given that I mean Capriles’s). Straight away, he launches into a rant telling me everything he thinks we’re doing wrong, why he’s so skeptical we can win, an incident he heard about that makes him think the Comando is every bit as macollero as the Cuarta us young people have learned to despise. I sip my ron aguao, breathe in uneasy and breath out again, chilling myself out. I’ve done this many times, and it’s uncomfortable, but I know better than to be dismissive. This particular guy is an Econ student. He talks about the spending binge, about Chávez’s charisma, notes he’s been going to Petare (for street cred, I suppose). He just doesn’t see the optimistic picture I draw. A few hours earlier, a man had come into the office and spent maybe 3 hours in a meeting with the boss. This happens with some regularity, I guess. People ask for a meeting to lay out his or her solutions to “save the campaign” or, at least, to compensate for what his or her very objective self considers our “shortcomings”. It doesn’t matter if the complains are uttered to the bottom of the pasante foodchain or to the boss. Our duty is to listen because we assume that every little concern is legitimate. In the Cabin Feverish heat of a campaign, you need these “contactos con la realidad” to stay sane. And yet, I’m sure we will win. 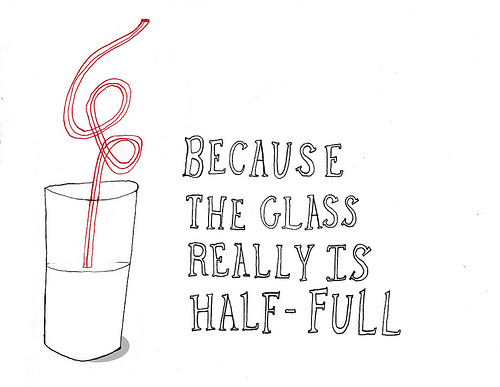 Partly, I was born an optimist. But it isn’t just blind faith. As a political scientist, I know the weight of variables that don’t favor us: structural factors like the spending binge or “agency” factors such as Chávez’s control of the military. But I also know no great cause has started with great odds. And I believe in the autonomy of the political, not as a matter of faith, but because research tells me I should. In “Defeating Dictators – Electoral Change and Stability in Competitive Authoritarian Regimes,” political scientists Valerie Bunce (of Cornell) and Sharon Wolchik (of GWU) explain how oppositions have beat hybrid regimes: in the Philippines in 1986, in Nicaragua in 1990, in Slovakia in 1998, in Indonesia in 1999, in Mexico in 2000, in Madagascar in 2001, and in Ukraine in 2004. It goes through structural, institutional and electoral variables to explain how united oppositions won elections against competitive authoritarian regimes. Turns out that it wasn’t about structural factors such as the regime’s capacity to distribute patronage. It turns out weak regimes don’t necessarily lose, and strong ones don’t always win. It wasn’t even about whether the opposition was united or not (the opposition was united in all cases – that didn’t guarantee victory). If you read The Devil’s Excrement series on the Comando Venezuela’s electoral auditing strategy regarding D-Day, you will see how we are already implementing most of these strategies. So keep the skepticism coming. It keeps us grounded. Just as long as you vote on October 7th.